The Sarah Moody Gallery of Art cordially invites you to an evening with Patterson Sims, curator for the exhibition now on view at the SMGA. Sims will lecture on the artist Joyce J. Scott and her place in contemporary art on October 6, 2015 at 5:30 p.m. in Lloyd Hall 132 on the UA campus. Sims is the President of the Board of Independent Curators International. He has worked in the museum world for more than four decades, most recently as Director at the Montclair Art Museum in New Jersey from 2001-2009. He has served as Deputy Director for Education and Research Support at New York’s Museum of Modern Art and as Associate Director for Art and Exhibitions and Curator of Modern Art at the Seattle Art Museum. Sims was the first curator designated to oversee the permanent collection of the Whitney Museum of American Art, where he worked from 1976 to 1987. He began his career in 1969 as Assistant Director of OK Harris Works of Art, in the then newly-developing arts district of SoHo in New York City. Sims has organized one-person exhibitions of numerous artists including Ellsworth Kelly, John Storrs, Jan Matulka, Viola Frey, Fred Wilson, Claire Zeisler, Willie Cole and Hedda Sterne. He was a co-curator of four Whitney Biennial exhibitions. Independent Curators International produces exhibitions, events, publications, research and training opportunities for curators and diverse audiences around the world. Funding support for the Sarah Moody Gallery of Art comes from the Department of Art and Art History and the College of Arts and Sciences. Admission to the gallery is free. Hours are Monday through Friday 9:00 – 4:30 p.m., Thursday evenings: 5:00 – 8:00 p.m. 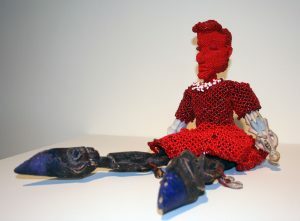 The gallery is located at 103 Garland Hall in the heart of the UA campus on Woods Quad. Information about visitor parking is available here: http://bamaparking.ua.edu/visitor-information/. Parking is free on campus in a legal space after business hours. 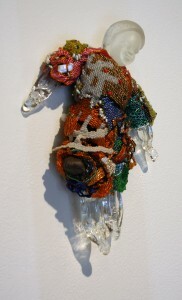 For more information, contact the gallery at (205) 348-1891 or go to http://art.ua.edu/gallery/smga/.